corporate sponsorship | What Gives??? 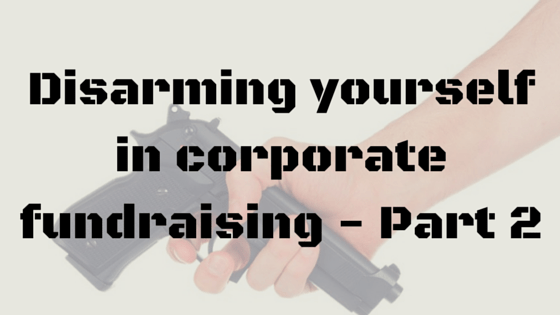 Guest Post: Disarming Yourself in Corporate Fundraising – Part 2: HOW? My mentor went on to tell me that to her, the package was incidental – a pure formality. She never submits a proposal of any kind without her prospect’s explicit approval and permission to do so. Because she worked with the person and built trust, the proposal was used only to justify the expense to the finance department, or to champion internally, and never contained any filler. Let’s skip right to it! When you meet your prospects for the first time, I challenge you to bring absolutely nothing with you at all! Not even a pen and paper or iPad? Nope! I challenge you to have a real conversation with a real person all about them, and then use your memory to recall important facts. Warning: This will feel uncomfortable at first (and forever), your boss will think you’re crazy, and your prospects will too… and this is a good thing. If a prospect asks you for a package, instead ask them for a five-minute phone call or a 15-minute cup of coffee to get a better sense of their needs before you submit something. In other words, tell your prospect “no!” and get a sense as to what they like to fund, their target demographic and their sponsorship goals. If your event, program or charity doesn’t fit those goals, don’t submit a proposal! 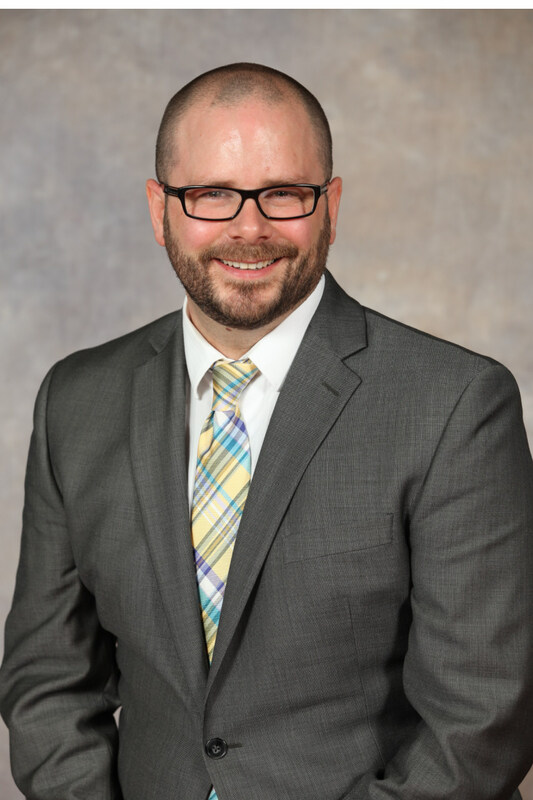 If your prospect doesn’t have five minutes for a call, they aren’t going to spend 20 minutes reading your proposal and they aren’t really a prospect and you should move on. I can feel you squirming at the thought of this… wait until you try it! Am I really saying not to shotgun blast your proposals to every company you can think of and that when they ask you to give them a proposal that you say no? That’s exactly what I’m saying! How can I commit to such sacrilege? Simple. When you blindly send out proposals you are using a direct mail strategy, and direct mail gets a 2% response rate, if you’re lucky. 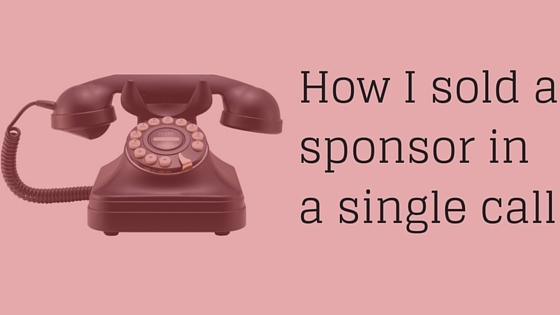 If you need 20 sponsors for an event then you need to send out 2000 proposals! Now think of the last time you got your anchor major donor from a direct mail campaign. Pretty rare right? Chances are you won’t get your title sponsors from a direct mail campaign either! The closest thing I see to custom proposals is the inclusion of a statement like this at the bottom of the package: “We also do custom packages so let us know if you want to have a conversation.” This puts the responsibility on the prospect to figure out that you can help them reach their goals, which is never a good thing. It also assumes that people read your entire package, which is not a safe assumption. Let’s do Some A/B Testing! Don’t take my word for it; try it for yourself! Instead of jumping in with both feet, segment your prospects and set aside 10% of your list to use this approach with. Do a biweekly checking to compare success rate, average sponsorship dollars and “sponsorship per hour invested” and see which method is right for you and your organization. I think you’ll like what you start seeing. 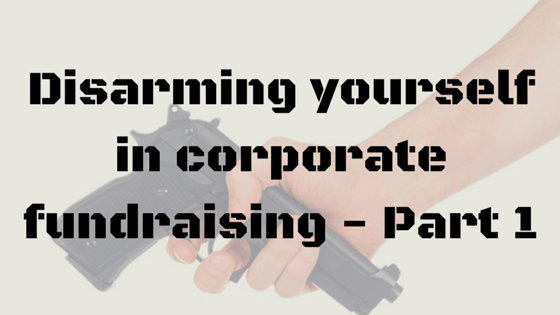 What works for you with corporate fundraising? Share your thoughts in the comments.